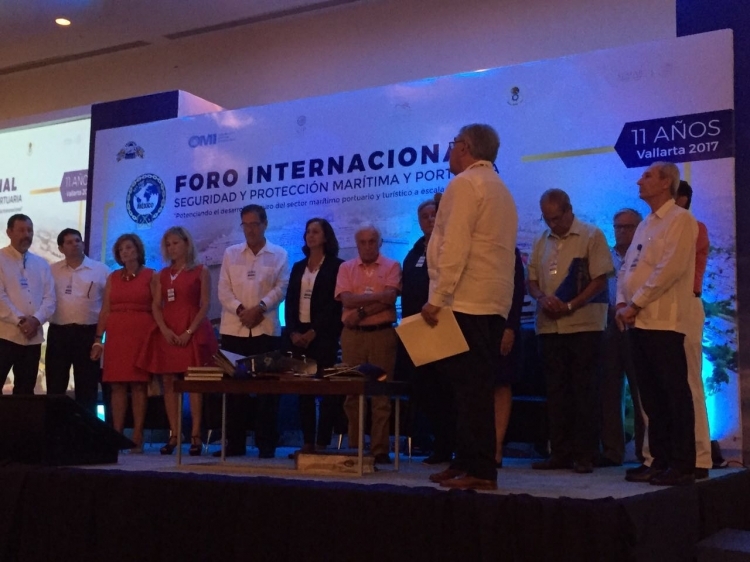 Rocío Martínez, Office Manager at ONTIER Mexico, attended the 11th International Forum and Fair on Maritime Security taking place in Puerto Vallarta, Jalisco (Mexico). According to Rocío Martínez, 'the forum makes a powerful tool for sharing knowledge, best practices, trends, projects and new technologies applied to maritime activities, and even to cruise tourism.' The forum was joined by international organisations, maritime authorities and renowned professionals within the sector, both in America and Spain. Rocío Martínez joined the Spanish delegation presenting Gijón (Asturias) as a candidate to host the forum in 2018. Finally Gijón made it and it's going to be hosting this important event next year.